So, you decided that you don’t want to be alone any longer. 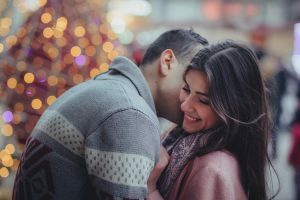 You have had some – let’s put it this way – unsuccessful relationships in the past and you are wondering why you were not able to find this special one that was made just for you. Okay, first step. Before everything else you have to check your premises. Do you know exactly what (or rather, who) you want? I bet you have a quite vague image. Most people do. And I am not talking about appearances and looks here. We are talking personalities. What kind of person will be compatible with you? What will bring you joy and contentment and what will drive you crazy and annoy you to no end? All these things are important to know. So many relationships fail because more often than not people don’t know what they are looking for and settle for this vague image they imagined only to discover in a couple of months that “it doesn’t work out”. Oddly enough, all our wishes DO come true, so be careful with what you wish for. In the first step you have to sit down and figure out exactly what it is you want (or don’t want for this matter) this other person to be like. What qualities are important for you and what habits of her (or his) you couldn’t stand even if your life depended on it? Do you want this person to be kind or adventurous, outgoing or a homebody, workout addict, good cook, spiritual? Maybe you don’t care about education but this person should be REALLY nurturing. Or visa versa, little amount of caring is okay but if he or she doesn’t have education – forget it! And what about religious beliefs? You see, there are a lot of things to consider. You can create a mental list, or if you are a visual person, maybe it would be easier for you to write it down, or create images. The more specific you are, the more chances you have to attract the right person. Another important step is to define yourself. What kind of person are you? What do you have to offer? Remember, relationship is always an exchange. We exchange feelings, moods, thoughts, love, warmth, negative attitude, support, anger, material things and so on, you can continue this list if you wish. You cannot think only of what you are going to get from relationships, how they are going to make you happy or how they will save you from loneliness and fulfill your needs. You should think also about what YOU can do to make the other person happy, what YOU can contribute to mutual growth and intimacy. Maybe you are a warm and loving person or maybe you have this witty sense of humor and people just love to be around you. Or maybe you possess neither of these but you are very intelligent and thrive on carrying on philosophical conversations? Whatever it is, there is always somebody who will appreciate exactly what YOU are or have. You just have to know what it is that you are or have. Anyway, after you have done all this homework it will be time for you to make plans on how you are going to achieve your goal. I don’t want to turn this little essay into a hundred-something-page book, so my advice to you would be to perhaps get one of those books on “How-to-get-married-stuff” and work on it. Another option is to work with a mental health counselor to define and clear the obstacles that prevent you from getting the relationship you desire. You will succeed if you are willing to be honest, persistent and committed. I would like you to share your own experiences in finding “the right one”.